The purpose of this event is to increase the awareness of social class issues relevant to the Colby community. It is held every year, and entirely organized by the students of Professor of Education Adam Howard’s, “Social Class and Schooling” course. The activities during this week are designed to address social class injustices on campus, in the Waterville community and in society. 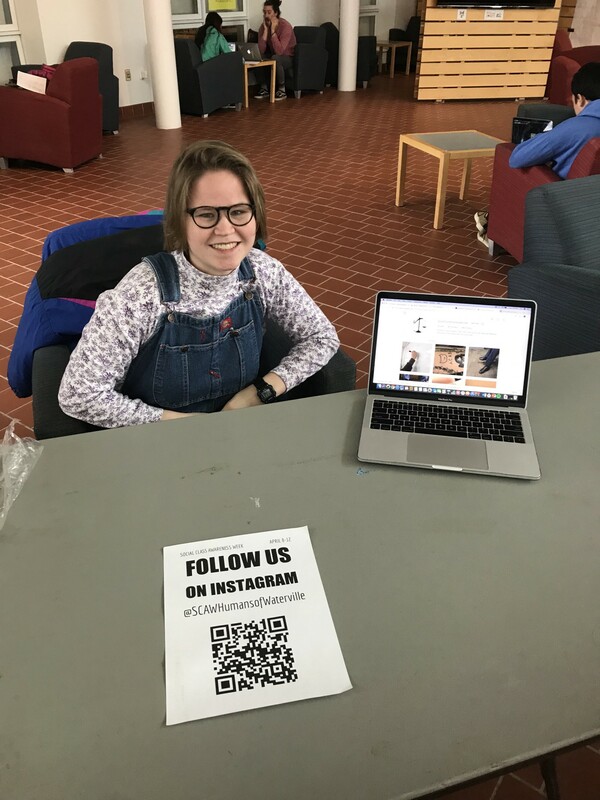 Howard’s students have spent a lot of time creating these events in hopes to spread awareness of social class at Colby! 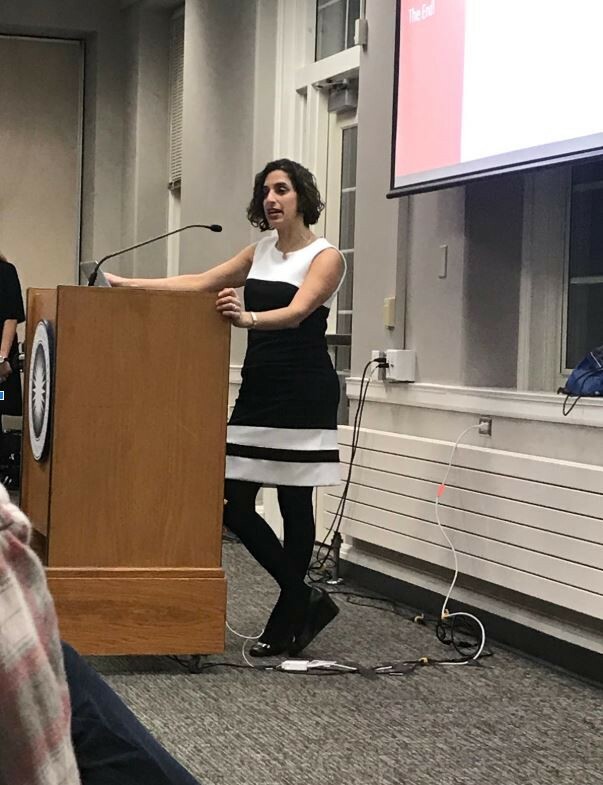 Natasha Warikoo, an expert on racial and ethnic inequality in education, kicked off Social Class Awareness Week with a talk about her most recent book, The Diversity Bargain: And Other Dilemmas of Race, Admissions, and Meritocracy at Elite Universities on April 8. Throughout the talk, Warikoo emphasized the contradictions, moral conundrums and tensions on campuses related to affirmative action and diversity. She discussed how these tensions vary across racial and national lines by describing the experiences of students at both Ivy League universities such as Harvard and Brown, as well as at international universities like Oxford. The talk was very engaging and helped the audience conceptualize what it means to attend elite colleges for different social and racial groups. We were very grateful to have Warikoo speak and it was a great kickoff to the week! Students in Social Class and Schooling hosted a dinner in the Pugh Center at which students were given the opportunity to discuss social class both at and outside of the College on April 10. We came up with this idea after realizing that wealth and social class are topics that are not considered polite to discuss at the dinner table. We think this is part of a wider social fear of discussing social class which results in a degree of silence surrounding the topic. This silence prevents us from determining effective ways of addressing issues of class and social equity. We think that by providing a space where it is acceptable to talk about social class candidly, we can push back against the idea that our social class experiences are something to be ashamed of. We hope this dinner and dialogue creates a ripple-effect conversation throughout the College that causes people to consider how social class affects our everyday lives. This event was hosted by Elizabeth Ewing, Meg Charest, Ian Mansfield , and Seth Bontrager. We decided to host a panel on April 10 that allowed members of the Waterville community and faculty of the College to come together for a substantive discussion about how social class affects the relationship between Waterville and the College. Our panelists were Mark Tappan, a professor in the education department, Joe Massey, the head of the Waterville Police department, and Thom Klepach, a visiting professor in the biology department. The relationship between Waterville and Colby has been a tumultuous one, and our main goal was to unpack why that is and how social class fits into it. We decided to host this event in the intimate setting of the Mary Low Coffee house because we wanted to create a space where everyone would feel safe to voice their opinions. Social class is an issue that is often tiptoed around due to the sensitive nature of the topic, so creating a welcoming environment is the first step towards creating a dialogue on the issue. We hope that this event will teach people to become more comfortable with discussing social class, especially in the context of Waterville and Colby. This event was hosted by Giselle Castro, Quin Davis, Riter Hoopes and Emmanuel Sogunle. Natasha Warikoo spoke about diversity, race and admissions at elite universities on April 8 in the Robins Room. For our Social Class Awareness Week, we decided to host a paint night which took place on April 9 in the Bobby Silberman Lounge. We chose this event in the hopes that we could further our understanding of how social class is perceived at the College through an artistic outlet. We decided to do this through painting since academic research shows that elementary school children show that they perceive social class through their paintings. While many themes arose from this study with children, we hope to get similar themes through our paint night with adults. For our research, participants will be asked to do two things: paint the item that best they think represents their social class on half of the canvas and paint an item that they think represents the general social class of Colby students. From this, we better understood how college students view social class, how they compare to that standard, and finally evaluate what it means to them. This event was hosted by Emily Buckman, Eva Elton, Kate Burke, Ally Corbett, and Matt Hanna. For our project, we conducted interviews with students, faculty and local residents in order to learn more about how social class influences members of the College and Waterville communities. We asked interviewees about both childhood memories and future hypotheticals. The narratives we collected illustrate the range of backgrounds present around us. If you are interested in learning more, follow @SCAWHumansOfWaterville on Instagram, and share your own stories on the poster hanging in the Spa. College admissions have been proven to favor the wealthy in more ways than most people think. The recent college admissions scandal shows how rich parents bribe schools for admission for their children, further exposing the unjust college admissions process. Natasha Warikoo, associate professor of education at Harvard University, offers an alternative method for admission for these top universities — an admissions lottery. Warikoo argues that the most selective universities favor those with more resources to build out a resume, but that the resumes have homogenized so that they are all very similar. The admissions process often comes down to chance, and instead of shying away from that, she argues we should embrace it. This process would help to acknowledge the advantage the wealthy have in getting accepted to elite universities. The lottery would reflect that admission is often based on chance and privilege rather than merit. Those who get into elite schools almost always come from elite, privileged backgrounds, and it’s really based on luck of background rather than merit. What this lottery system would do is make it entirely based on chance, rather than hiding behind the guise of merit. The change would also save the university time and resources, as the admissions process would become automated. Ultimately, Warikoo’s ideas are radical, because they upset the status quo of an admissions process that predates any modern idea of equality. However, if the recent admissions scandal proves anything, radical change is overdue.